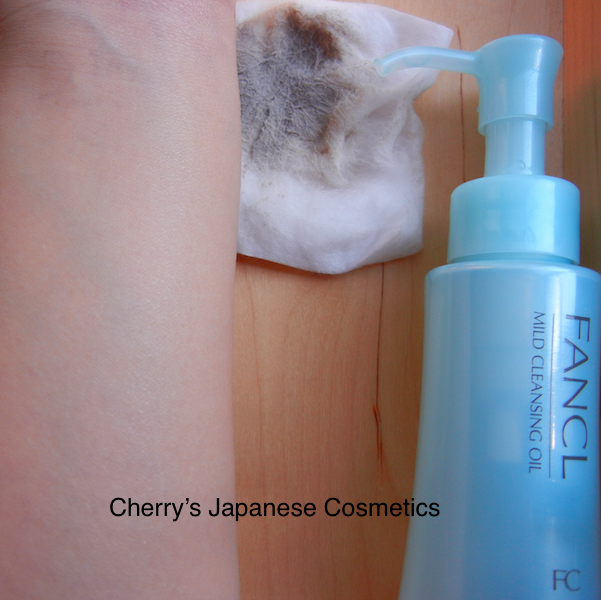 I (Cherry) got a new formula of Fancl Mild Cleansing Oil. 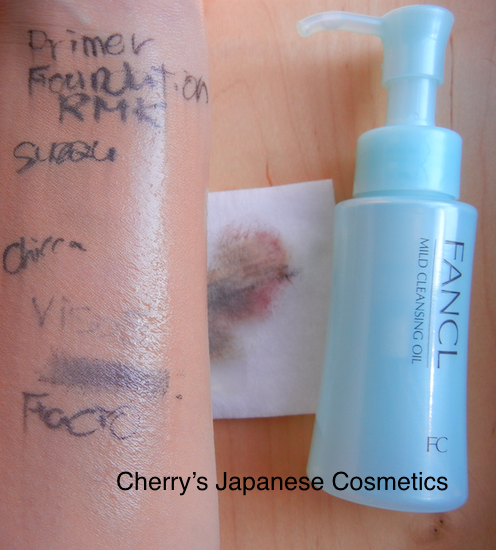 Let me share with you my review of this product. This is a half bottle, not for sale. Let me show you my review and how it works. 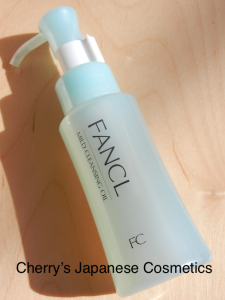 This Fancl Mild Cleansing Oil is my routine. No perfume. I am not explaining Japanese Bath, if you wanna know that, please go google, we often remove our makeup while bath time, with wet hands. You can use this remover with wet hands, but I recommend not to use pretty wet, but a little bit wet hands. If you want to use cottons, you can also use. But to be honest, I dislike scratch my skin by cottons. I use this with my hands. Anyway, let me show you how it works on my arm. Wiped once. Lips and eyeshadow are removed. You may find the letter of “F” from “Foundation” . But it was easy to remove. This product is designed as “double wash”, namely you should use face wash after this product. 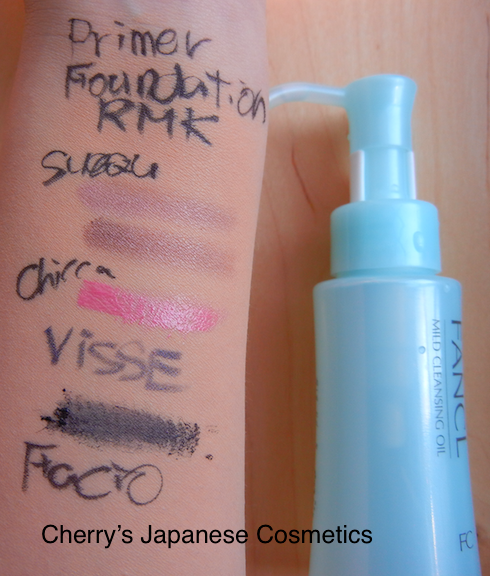 For me, my skin does not go dry after using this product. If you worry about it turns your skin more and more drier, I do not recommend to use. Happy 2nd Anniversary! We built a new main store! Beautiful! Lunasol Summer Kit 2014 is now on sale!